Racing to the market may have burned Samsung twice. 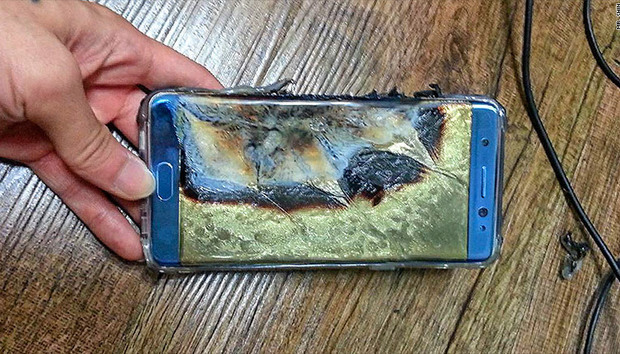 First, a rush to beat the iPhone7 with a technologically superior Galaxy Note7 might have gotten the company into trouble in the first place by shipping out a phone no one realized had the potential to explode. The problem has compounded with a failed recall, culminating in a second callback and the cessation of the Note7 altogether. According to a New York Times report, the company still doesn’t have a handle on why the phones are catching on fire. Engineers were unable to duplicate the exploding phone issue, which was wrongly pegged on faulty batteries. Samsung recalled the originals, shipped replacements, and then they started to explode, too. Two former Samsung employees, who asked not to be named for fear of retaliation from the company, described the workplace as militaristic, with a top-down approach where orders came from people high above who did not necessarily understand how product technologies actually worked. Even worse, the report revealed that Samsung testers were told to keep all communication offline in order to avoid lawsuits and subpoenas. If that extended to electronic record keeping, managing such a technologically complex engineering challenge would have been a nightmare. At this point, the main issue for Samsung in finding the solution and convincing the public that future smartphones will be safe. Early next year we’ll likely see a Galaxy S8, and the company will have to contend with a skeptical public that may have moved on to other phones. Why this matters: This whole incident will be studied in business school for years. In rushing to market with both the original and recalled phone, Samsung clearly missed what turned out to be a catastrophic problem. Ending the Note7 was the right move, giving Samsung the chance to reset, diagnose the problem, and try to reboot for future phones.